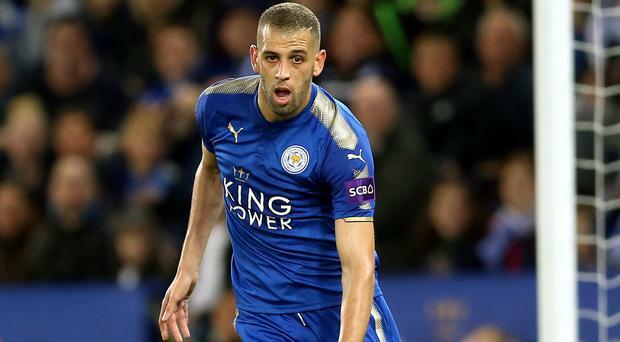 Leicester boss Claude Puel has offered no guarantees record signing Islam Slimani will stay with the Foxes. The striker has played just 10 minutes since Puel was appointed manager in October. He has failed to impress since a £30million move from Sporting Lisbon in August 2016, netting 12 times in 41 games. Leicester spent £25million on Kelechi Iheanacho in the summer while Leonardo Ulloa, Shinji Okazaki and Ahmed Musa are also options to support Jamie Vardy, and Puel remained coy on Slimani's future. "Time will tell to speak about the January transfer window but he is in the squad," Puel told a press conference ahead of Saturday's visit of Crystal Palace. "He was on the bench for the first game. He provides the same option as Ulloa because Ulloa works very well in the training session, harder. "I think now Slimani is working very well also. It is always difficult for me to make assurances with competition between the players. "It is difficult for me to say what will happen in the transfer window but it is difficult for me and the staff to manage all these players for the same position. "But they all work like Slimani, Ulloa, Iheanacho and Musa, different players they work very well. "It is very difficult for me to leave some players off the bench." The Foxes beat Puel's former club Southampton 4-1 on Wednesday in the Frenchman's first return to St Mary's since he left in June. They are eighth in the Premier League, just five points adrift of the Champions League spots, but Puel is demanding more ahead of the visit of the Eagles. He added: "We must continue the work on the pitch, not look at position in the table. We must not be satisfied. It was a good result, with good play, but it is important to continue this work." Robert Huth (ankle) and Matty James (Achilles) are close to returning but are not fit for the weekend.